Are You Afraid to Be Debt Free? Why people behave like they do. Why things work (or don’t work). Why things happen (or don’t happen). This insatiable curiosity can be annoying sometimes, I’m sure, but it also is a huge benefit in the area of problem-solving. When you know “why” you have more power to do something about it. I figured out this year as I analyzed our prior spending habits to the death that, for many years, we were afraid of being debt free, and now I’d like to share some of what I found out about fear and money. 1. Being in Debt is Comfortable. Like with any bad habits, often times they have been practiced for so many years that people are afraid of not being able to handle a different life. This is often why (and I speak from personal experience here) women (and men) who are in abusive relationships stay there. The relationship might be horribly bad for them, but at least they know what to expect. There’s a level of trust that comes with long-term experiences, whether those experiences be good or bad, that’s hard to let go of. Staying with the old is often much easier, from a psychological standpoint, than working toward something new. Regarding debt and paying it off, often times money struggles are subconsciously viewed as an old friend. You’ve had your ups and downs with money for 10,20, 30 or more years, and those struggles have kind of become like an old, broken in pair of shoes that you just can’t part with. How to Fix it: This is a tough one, because it’s going to insist you step out of your comfort zone. Remember the old, comfy, broken in pair of shoes? Umm, reality is, they look like something you dug out of a garbage can, and it’s time to let them go. No matter how “used” to them you are, they’re not attractive, and they’re really not good for you at this point. It’s time for you to start looking around for a pair of shoes that is better for you, and that looks better too. This is how you must view your debt. Your debt, and your money problems, are not your friends – in reality, no matter how much they’ve tried to convince you otherwise, they are your enemy. It’s time to face the fact that you deserve better. 2. You’ve Got a Negative View of “Rich” People. Media and real life both show us that there’s a lot of rich people out there who are total J-E-R-K-S. You’ve seen what money has done to them, and the last thing you want is to be anything like them. Truth be told? Rich a__holes were most likely a__holes long before they were rich. There was probably a level of selfishness there long before money came on the scene. How to Fix it: The truth is that big money doesn’t change people, it reveals their true colors. If you’ve got some bad characteristic traits that you’re concerned will rise to a new level after you have money, work on changing them while you’re getting out of debt. It’s not money’s responsibility to refine your character (or ruin it), it’s your own responsibility. 3. You’re Afraid of the Change Having Money Will Bring. This fear plagued us for years. No one in either of our families really has much money. We’ve all heard the stories of families who’ve rejected or talked smack about those they know who are now “rolling in dough” and we don’t want to be those people. Or maybe it’s not that, maybe you’re afraid you’ll lose your friends or whatever. In the instances I’ve viewed where money has brought about bad change, it’s usually not the money that has caused the change, but the change in attitude of the receiver (or earner) of the money. They become arrogant or prideful (or, their arrogance comes out. See #2). How to fix it: Money is like religion or politics; unless you’re with someone you’re quite sure is on the same page as you, it’s best not talked about. Having money doesn’t have to change you. Just put it in the bank, sit there, and shut up about it, spending it on things you value the most and not bragging about it. Money, and I’ve said this before, is nothing but a tool. It’s like the dirt we walk on or the air we breathe. Don’t idolize it, and don’t fall into the trap of believing that you’re better than the others because you’ve got more of it. Just be thankful that you’re no longer a slave to it because you’re drowning in debt. Do you or did you ever worry about the changes associated with being out of debt or having money? Since we make more money now and were able to pay off debt so quickly, there has been a slight change with how some people see us. We NEVER bring up money unless someone else does first, but after they ask a question and we answer it for some reason we are the snobby ones. I can even tell that some people hate that we are successful, which is sad. It’s like we had to be broke forever for certain extended family to like us. That is so true, Michelle. We’ve found that even with our getting out of debt journey, which is ridiculous to us because we’ve still got such a long way to go! Sometimes I’ve found you’ve just gotta let it go. Haters gonna hate, as they say, regardless of what you or I do, or don’t do, but that’s really all about “them” isn’t it? Nice post Laurie! I dealt with the last one quite a bit as I was getting out of debt. I was afraid of what I’d do with it, how I’d spend it and if I’d be wise with it. That said, I was so averse to what had gotten me there in the first place that I took my time and taught myself about what I should be doing and that helped a lot. 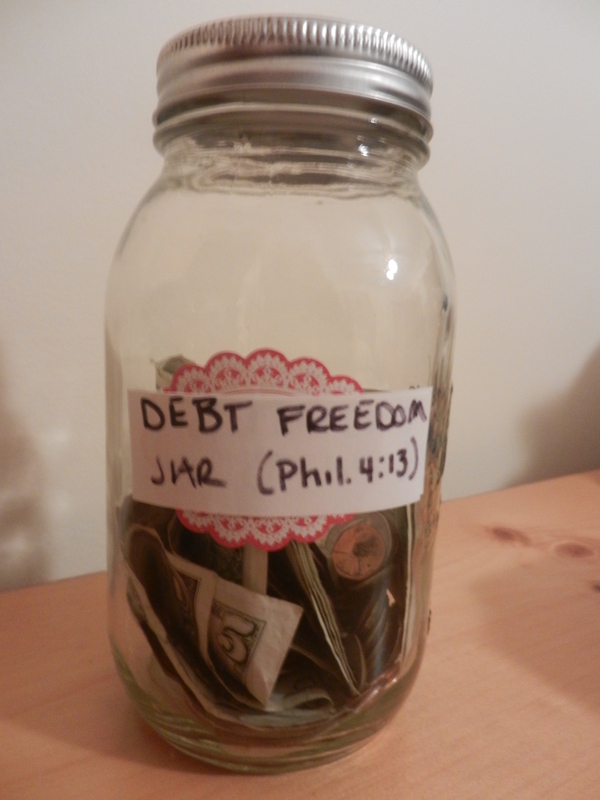 I was never afraid to be debt free. I was more afraid of the journey toward that freedom. It was hard and a big adjustment, but it is certainly worth it! You’re lucky, Grayson. It’s amazing how much I feared it, simply because no one in my family ever really had much money, or if they did, they didn’t talk about it or act like it. Very interesting story, Andrew! Yes, I totally agree that it’s difficult to avoid money conversations at times, and I too, find the emotional factors fascinating. People allow money to control so much of their emotional/psychological lives: they allow it to make them happy, sad, prideful, humiliated – and that’s just so sad, isn’t it? I think I most resonate with #2 since I was just reading The Millionaire Mind and it talks a lot about this. I found myself, when on the road, focusing on the nicer cars and just waiting for them to do something “jerky.” ha ha. Of course when and if they did I thought, “stupid rich *ssholes think they can just get away with that.” wow! I’m pretty sure there were probably people in every type of car and every income level doing jerky things, but I focused on the “rich ones” because apparently I DO have some kind of negative feeling about it. My goal is to break that habit. I can relate to point no. 1 Laurie – it’s not like the hubby and I ever wanted to be in debt, but it became normal. The fact that we were so stressed every month about the debts didn’t even give us the jolt we needed to get on and do something about it. We thought we couldn’t possibly pay back more than the minimum payment – but somehow we are now. I’m so thankful that we saw past the ‘debt being normal’ scenario. That was SO us, Hayley! It’s amazing how comfortable you can become living in a giant hole of debt, isn’t it? I don’t think I am afraid of being out of debt, but I am very conscious about how I talk about it outside of the PF community.I have a post I’m working on about how easy it is to fit in when you have debt and how hard it is to talk about when you don’t. People can’t relate when you don’t have a car payment, credit card payment, etc. I used to be the same way thinking they must have secret family money or something if they have no debt. Society expects debt, and to lots of people, you’re odd if you don’t have much. I think you’re right that it’s better to just shut up about your money to most people. Excellent points, Kim, and I totally agree! Can’t wait to read your post about this – it’s so interesting to me! A wise old woman once told me, Simon, that people who pretend to have money are jerks and snobs, and people who truly have money (i.e. your Millionaire Next Door type) are usually very nice. That comment from long ago always sticks in the back of my mind. I think some folk may not want to get out of debt because to do so might mean that they would have to “sacrifice” their way of living…and they don’t want to go such difficult times. They also might be in deep denial about their financial situation and having everything remain the status-quo is easier to live with than realize that they may have made a mess of their financial lives. There must be some kind of quantitative study out there that might explain this? Who knows! Great points, Lyle, and I totally agree! There are so many psychological/emotional factors involved with money, as Shannon at The Heavy Purse so eloquently points out, isn’t there? Amen to that, GMD! I’m so grateful to have seen the light too: SO done with being comfy in debt! I am not afraid of being debt free – I have a decent plan for when I pay off my student loans. However, I have never experienced being in a cycle of debt. I do think my parents grew comfortable with it after so many years. It’s like internally, they had given up and knew there was no way out. It’s a lot easier to pay the bills every month than put the effort into formulating a plan to become debt free. I don’t talk about money with friends or much of my family, so hopefully nothing will change on that front. It’s so silly that people can’t just be happy for each other; instead they have to be jealous that you’re doing something about your situation. I think I probably identify most with your parents. Debt is just normal for everyone I know, almost. We are definitely being the odd people out in most of our circles now that we’re working toward debt free. I have to admit I do have some worries about the impact money might have on us psychologically. I know that it’s the love of money & not money itself I need to worry about, but I still do have concerns. Money becomes easier to idolize now that finances occupy more of our conscious mind & time — as we become more financially literate, the temptations to make money an idol are more present, at least for us. That’s awesome, DB40. I think it’s a valid issue and I think it’s important that those of us concerned about it work it through. Money was an idol for so many years for us, just because we needed it so badly, and now that we’ve broken free of that I certainly don’t want us to start idolizing it because we have more than enough. Honestly, I wasn’t one bit afraid of being debt free, but I understand why some people are. I guess I wasn’t in debt long enough to really get comfortable with it (only 2 years after college graduation). It amazes me how many people are comfortable with their debt. I never was, which is why we tried to get rid of it as quickly as possible. It is amazing, Jake. You’re smart to have gotten out of it quickly! We personally haven’t ever been afraid of getting out of debt. We saw it as a way to get my wife through school and are attacking it aggressively until it disappears forever. It will be nice to have the extra cash flow in the budget after they’re gone. I agree with you Laurie that people feel comfortable being in debt. For some a payment of some sorts is a way of life, they wouldn’t know what to do if they didn’t have to pay something. Isn’t it strange, Charles? Yet I understand because I’ve been there. The mind is a strange things at times. Excellent blog. Way to go to the heart of the issue. Good job! God bless. Thanks as always for your encouragement, Jim. You are a blessing! I think I can relate most to #2. To flip it, I am mostly proud of my working class roots and don’t want to seem to bourgeois. Even though I went to a fancy school for my M.A. (and got in a boat load of debt), there was no denying I didn’t come from $. I work for it, and very hard. I think I am just jealous and resentful of some rich people, but I know it’s my own issue. I now try to focus on myself and making more money and be happy for other people. No I don’t think I’ve ever had any fear about being debt free. To be honest it doesn’t really feel like anything different other than we don’t have to worry as much. We don’t go out and blow money on things just because we are debt free but we are thankful. We still have to work as the money game is never over in life it just takes on a whole new meaning each step of the way. The “stepping out of my comfort zone” aspect of this is something I’m personally trying to work on. Not with debt specifically, but I definitely fall into the trap of feeling good where I’m at simply because it’s where I’m at and as a result failing to push myself for something better. It’s not an easy lesson to learn but one that I think is incredibly important. For us, the transition out of debt was gradual so we had time to get used to it. Now that we’re out of debt and have a high savings rate, we put our excess cash slightly out of reach each month and live off the amount of money we deem reasonable. That’s a great idea, Holly. This is our plan too, and I can’t wait to get there! I have to say I’m jealous, C! The mindset is such in America where you’re strange if you don’t have debt, and that’s such a sad thing! As “advanced” as we may be in America, you guys over there are still much more wise where finances are concerned, that’s for sure. I can definitely relate to debt being comfortable. Sometimes you even try to convince yourself that there’s nothing wrong with being in debt. We’ve done that SO many times. It’s an easy cycle to fall into. This is a great question! Getting completely out of debt (which should happen soon as we are close to paying off the mortgage) will free up some money in our monthly budget. I’m feeling more a sense of anticipation, not fear. Anticipation about where that money will go and how it will create breathing room and space in our lifestyle. That’s great that you guys are almost there, Brian! It’ll be fun to see your money grow when you can sock even more extra towards financial independence, won’t it? Really, a lot of people might not like it but they end up getting comfortable in their situation. This probably applies to a lot of facets of life. It’s interesting, but sometimes people might be afraid of taking steps to improve, since they’re used to their current life. Ultimately, it takes an understanding of what the bigger possibilities are in order to make progress toward better finances and a more fulfilling life! So true! Looking at the big picture, I think, is definitely a necessary part of getting over that fear, that’s for sure. Thanks for the comment! Pingback: PF Weekly grab a brew #40: Are we dependent on the internet? your post is so spot on. My brother is a lawyer at a respected firm but still has a lot of his debt from Columbia Law School as he’s only been employed for 4 years (so he’s not as rich as some of our family like to assume). It’s frustrating as anytime he’s around family and he goes out to eat some of our extended family expects him to pay for them every.single.time. In an upcoming trip he purposely had to rent a separate rental car just to avoid those situations. Even when he does have his debt paid off, I don’t understand why any family, outside of our parents who did sacrifice a lot to raise us, have any claims to another family member’s money? He’s my brother and we’re close and I never expect him to pay for anything for me. Tara, that is shocking!! But sad to say, it’s a growing mentality in this world. The entitlement, “you shouldn’t have more than I do, even if you worked your a__ off for it, and if you do have more, you have to give some to me” crap drives me insane. Did your family members spend 7+ years working their tails off in college and then start hoofing it as a newbie lawyer, working, I’m quite sure, a good 50-60 hours a week? Regardless of what your brother’s financial situation is or will be, he owes them nothing. I am indeed completely afraid of being without debt. I’m different than most other PF bloggers as I’m an active investor and it has become the bulk of my monthly income. Why do I need debt? I can borrow at prime and use that money in my investment accounts to buy stocks, ETFs, and options that yield considerably higher than my rate of borrowing. So without borrowed funds, my monthly income would plummet and I would be destitute. Using YOUR money (not mine) to invest is how the rich get rich and stay rich. NB: I’m not rich yet… Working on it, one trade at a time. You are braver than I, Starving Artist. 🙂 I agree that there is much money to be made via borrowing and investing, but I find that most people these days who have debt haven’t attained it for that purpose, but because of an inflated lifestyle instead. Yours is one argument on the positive side of having debt, that’s for sure. 🙂 Good luck with your financial independence journey, my friend! It’s kind of sad, but definitely true! I’ve especially heard the “I don’t want to be like those rich people” thing. People really don’t understand that just because you’re wealthy, doesn’t mean you have to act like it. But isn’t most consumer debt really just wanting to act like we’re wealthy anyway? Exactly, Ben! Terrific point too about how most debt is just us acting like we’re wealthy anyway. I never thought about it that way before!